What’s the Stem Cells Buzz this Week? - Reciprocal Reprogramming, Synthetic mRNAs, hESC-derived Retinal Pigment Epithelium, and Combination Cell Therapy for Cirrhosis! The assessment of interactions between cancer stem cells (CSCs) and the stromal niche may improve our knowledge regarding the initiation and development of tumorigenesis. Now, researchers from the laboratory of Maty Tzukerman (Technion‐Israel Institute of Technology, Haifa, Israel) have provided evidence that human gastric cancer cells subvert gene expression and cytokine production in naïve mesenchymal stem cells to promote tumor progression through the maintenance of CSCs. Discover all the reciprocal reprogramming details at STEM CELLS now! As a means to avoid the application of genome‐integrating viruses, researchers from the labs of Mingyao Ying (Kennedy Krieger, Baltimore, Maryland, USA) and Jianmin Zhang (Peking Union Medical College, Beijing, China) investigated a new means to cells relevant for the treatment of neurological disorders. Xue et al. 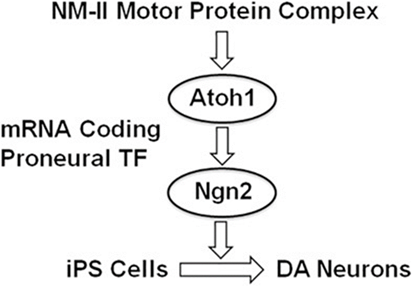 reported on the application of synthetic mRNAs coding proneural TFs to drive the rapid differentiation of induced pluripotent stem cells (iPSCs) into midbrain dopaminergic neurons. See STEM CELLS Translational Medicine now to read more on a study that may facilitate Parkinson's disease modeling and therapy, and guide the development of robust methods for generating various lineage‐specific progenies from iPSCs. The therapeutic efficacy of human embryonic stem cell (hESC)-derived cells relies on their proper functionality. For this reason, researchers from the lab of Soile Nymark (Tampere University of Technology, Tampere, Finland) set out to analyze the all-important voltage‐gated Ca2+ channels in hESC-derived retinal pigment epithelium (RPE). Using Whole‐cell patch‐clamp recordings, Korkka et al. 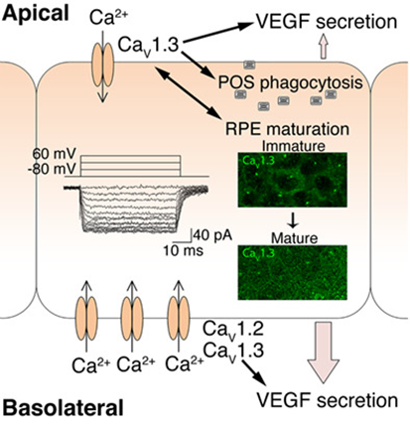 discovered that hESC-derived RPE and native RPE displayed similar levels of functional voltage‐gated Ca2+ channels, which helped to control vascular endothelial growth factor secretion as well as in the phagocytosis of photoreceptor outer segments. For all the details, see STEM CELLS Translational Medicine for more! The development of novel therapeutic approaches for liver fibrosis regression and regeneration represent possible means to treat patients suffering from cirrhosis, a life‐threatening condition. 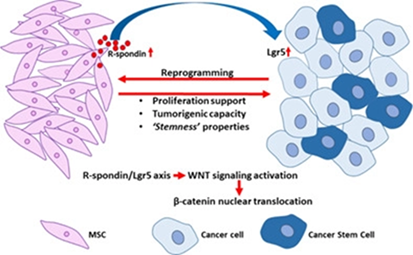 To this end, researchers from the labs of Atsunori Tsuchiya and Shuji Terai (Niigata University, Chuo‐ku, Niigata, Japan) recently reported on a new cell-based combination therapy. 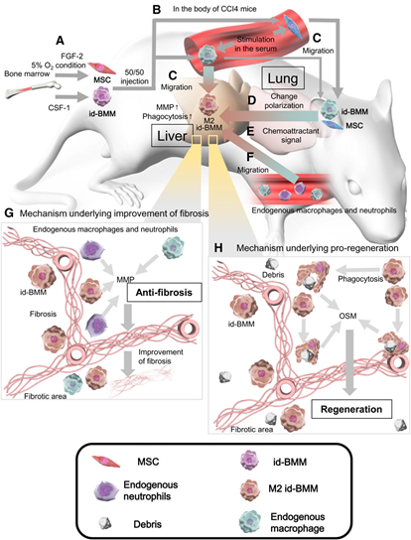 In their recent study, the authors describe how bone marrow‐derived mesenchymal stem cells and colony‐stimulating factor‐1‐induced bone marrow‐derived macrophages work together to improve liver function and fibrosis by enhancing host endogenous regenerative responses. Will this study pave the way for new treatments for cirrhosis? Find the answer over at STEM CELLS Translational Medicine!